Private 7238 John Seymour, 3rd Dragoon Guards. John was born in 1890, the eldest son of John Seymour and his wife Emily Ann (Annie) née Silvey. Although John was their eldest boy he had two older sisters, Mary Jane (b 1886) and Ann Beatrice (1887), as well as younger siblings, Rose Ellen (1892), Harriet Ada (1895), Charles Thomas (1900), Albert Edward (1905) and Gladys Emily (1906). An eighth child died in infancy. John senior worked at a variety of jobs: as a groom, blacksmith’s labourer and brewer’s labourer. The latter occupation may well have been convenient to home as they lived first at 2 Smith’s Cottages, attached to Somerset’s Brewery (later the Newbury Brewery Company) and then at 34 Jack Street (also known as Victoria Street) which backed on to Marsh Lane, the lane that separated the Jack Street properties from the same brewery. The whole area has been redeveloped, first for Marks & Spencer and more recently for the Parkway shopping complex. When war was declared in 1914 John junior was already in the army, serving with the 3rd Dragoon Guards in Egypt. They were soon recalled to England, landing in Liverpool on 18 October 1914. Their stay in England was a short one; they crossed to France on 4 November to join the 6th Cavalry Brigade in the 3rd Cavalry Division. The following day they were in the front line during the desperate defence that was the 1st Battle of Ypres. Two days later the CO of the 3rd Dragoon Guards, Lt Col O B B Smith-Bingham found himself in charge of the whole brigade – with only two days experience of life on the Western Front. 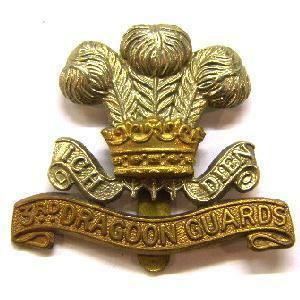 He was relieved of this duty two days later and returned to the 3rd Dragoons. For the next two weeks the men of the 3rd Dragoons were in and out of the line, operating as mobile reserves they were sent to wherever they were needed, always in support of infantry in imminent danger of being overwhelmed by the force of the German offensive. Map of Newbury Brewery Co, with (circled) Smith's Cottages (right) and 34 Jack St (centre). Eventually the Germans abandoned their efforts and the Ypres Salient quietened down for a while and the 3rd Dragoons were sent to rest in billets south-east of Hazebrouck; there were even 72 hour leaves for a few lucky men. The history of the 6th Brigade marks this period, from 20 November 1914 to 23 April 1915 as one when ‘there are only a few events which need to be recorded.’ One event that it doesn’t record is the wounding and subsequent death of Private John Seymour. Private J Seymour, 3rd Dragoon Guards, has written to his parents in Jack-street, dating from a British Red Cross Hospital at Rouen, stating that he had the misfortune to get wounded on the 24th. He has three wounds, but is being well looked after by the doctors and sisters. At the time of writing, he was feeling better, hoping to get stronger and see his home again in England. The sad news was received at his home in Jack-street, on Monday morning of the death of Pte John Seymour, of the 3rd Dragoon Guards, who died from wounds in the British Red Cross Hospital at Rouen a fortnight ago. 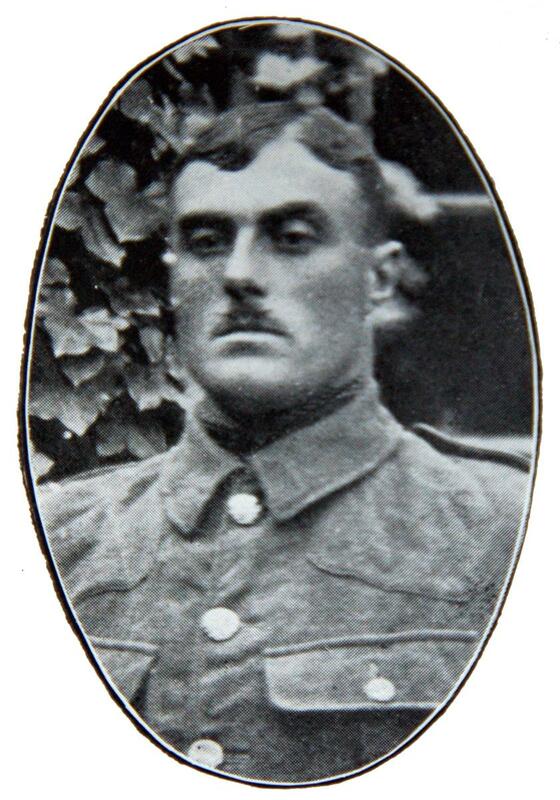 Pte Seymour was drafted with his regiment from Egypt to the seat of the war, where, after being in action for a fortnight he received wounds in the thigh, and was removed to the hospital at Rouen. Although wounded this seriously, he wrote cheering letters to his mother, spoke hopefully of the future, and told then never to worry about him or be anxious of his condition. Deceased was a bright, promising fellow of four-and-twenty, and all who knew him will sympathise with the loss his house as sustained. He died on 8 December 1914 and was buried in St Sever Cemetery, where his body still lies in grave A.2.5. Locally he is remembered on Tablet 4 of the Newbury Town War Memorial and the parish memorial board and roll of honour in St Nicolas Church, Newbury. In loving memory of our dear son, Private John Seymour, of the 3rd Dragoon Guards, who died of wounds in No 2 British Red Cross Hospital, Rouen, France, December the 8th, 1914, aged 25. – Gone from home, but still to memory dear. One we loved so very dear. In loving memory of our dear son and brother, Private John Seymour, of the 3rd Dragoon Guards, who died of wounds in Rouen, France, December 8th, 1914, aged 24. From his loving Mother and Father, Brother and Sisters, 34, Jack-street, Newbury. From the records of the Commonwealth War Graves Commission - the family's choice of inscription for John's headstone: "For God, King and Country, never forgotten. From all at home". To have this inscription added to his headstone his father paid 14s 7d. On 31 March 1920 the local Baptists held a welcome home supper for around 120 members of the congregations of the Baptist churches and chapels in Newbury, Ashmore Green, Berries Bank, Headley and Long Lane, who had served their country during the war. A list was read out of those who did not return and it was announced that a plaque in their memory would be placed in the Newbury Baptist Church. The first name on this list was J Seymour. This may have been John, or Joseph Seymour from Speen. However, for some reason, J Seymour does not appear on the memorial plaque placed in the Newbury Baptist Church. John’s brothers were too young to see active service, but Charles, born in May 1900 was called up in 1918, enlisting on 4 June, aged ’18 years and 9 days’. Recruits were asked where they would like to serve, so Charles opted for the Royal Garrison Artillery. The Army didn’t seem to take much notice of this preference and following training he ended up with the 3rd Battalion, Royal Warwickshire Regiment. His service was short, by this date the Army had far more men than it needed for the relatively minor operations it was still involved in, hundreds of thousands of men were demobilised in 1919. Charles’ turn came in November 1919. In 1925 he married Ethel Lovell and started a family; sadly he died in 1934 aged only 33. In 1926 Charles and Ethel had a son, Thomas John Leslie (known as John) Seymour. John served in the 1st Airborne Battalion, Royal Ulster Rifles during the Second World War. He died in Holland on 8 February 1945, aged 19 (during the Battle of the Bulge). 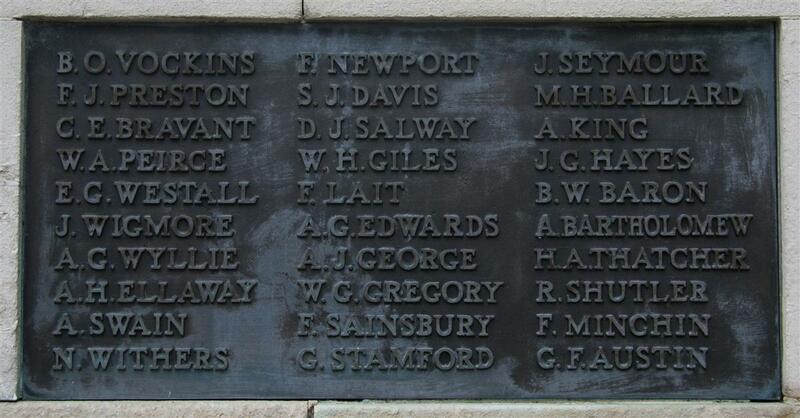 His name is among those added to the Newbury Town War Memorial in 1950 following the Second World War.